I've really grown very fond of Eco Fashion Week over the last few years. At first, I wasn't sure if it was the right place for me - I mean, this blog isn't about greening our planet, it's a fashion blog, and I never considered myself as eco-conscious as maybe I should be... But after I attended my first season a few years ago, I realized that there are so many ways to help the planet that aren't all hippy and hemp - if you know what I mean. My absolute favourite show at Eco Fashion Week is the Thrift Style Challenge, presented by Value Village. That's where I really saw for the first time that thrifting isn't just fun (because I definitely already knew that!) but it's a way of decreasing our consumption of textiles. The more we thrift shop and buy others' used clothes, the less demand we are putting on the clothing industry! And that means less of a footprint we're leaving behind. Sounds pretty great, right? The 3 stylists this year, Jason Pillay, Nadia Albano, and Nathalie Rees did a fabulous job of showcasing how thrifted clothes can look just as chic as new clothes - an important stigma that I think needs to be broken! 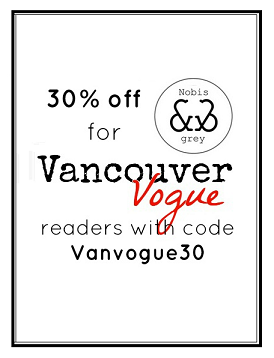 There are still lots of people out there who think thrifted clothes is all grandpa sweaters and out-of-date styles (none of you though, since you see all kinds of amazing thrifted finds here on Vancouver Vogue!). 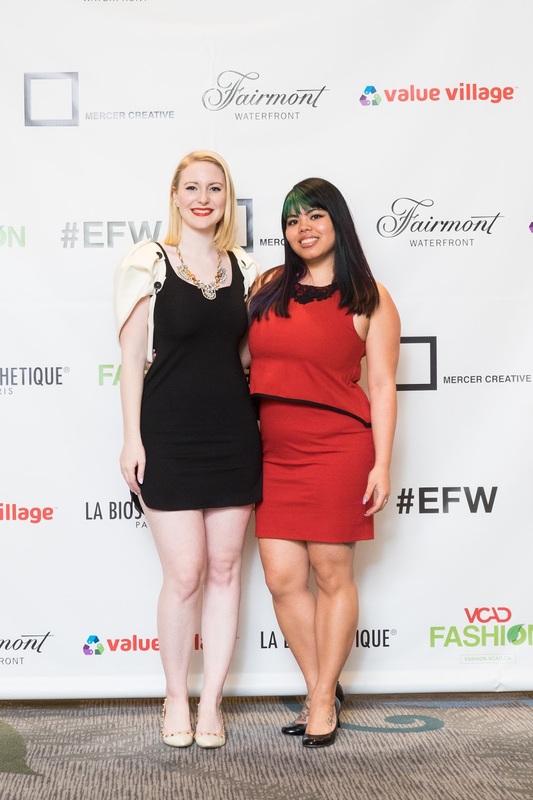 Keep reading below to see the 3 Thrift Style collections, as well as the eco-friendly and locally made design I rocked at Eco Fashion Week from designer Theresa Chen! What a chic collection! 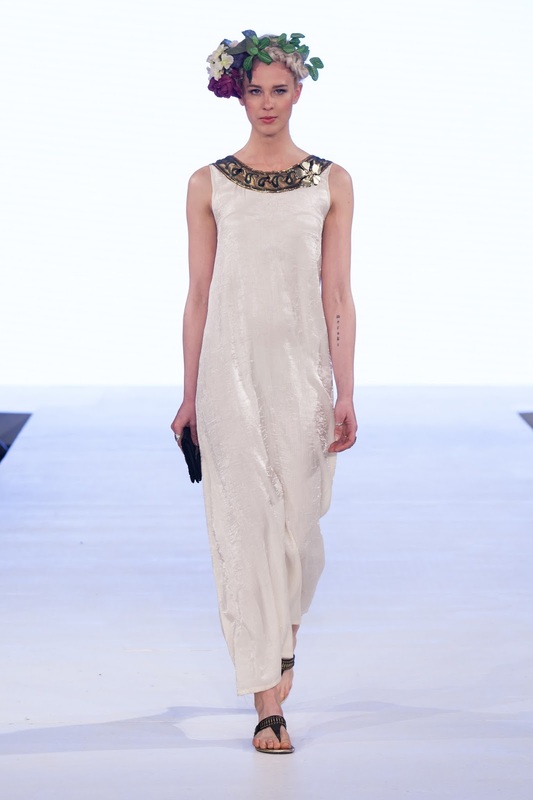 Very feminine, somewhat ethereal, and so perfect for Spring! I loved how Nadia showed the uniqueness of Value Village finds (that grecian dress! ), while also showcasing how wearable they can be. I always hope that these Thrift Chic challenges inspire everyday people to thrift shop, and I think this definitely hit the mark! I think it is just amazing how Nathalie was able re-create what looks like a perfectly curated Spring collection for a mainstream store! And guess what, it's all thrifted! Everything looks straight off a store rack, which I think is great. This collection slayed any preconceptions that thrifted clothes are old and frumpy, that's for sure! For anyone who thinks that Value Village is just full of old 80's clothes (perfect for your tight and bright parties, no less), this collection may not dispel those assumptions. BUT... I must say that Jason did a fabulous job of rocking those 80's trends in a way that was definitely worthy of a runway. Not bad for an all-thrifted collection, hey? 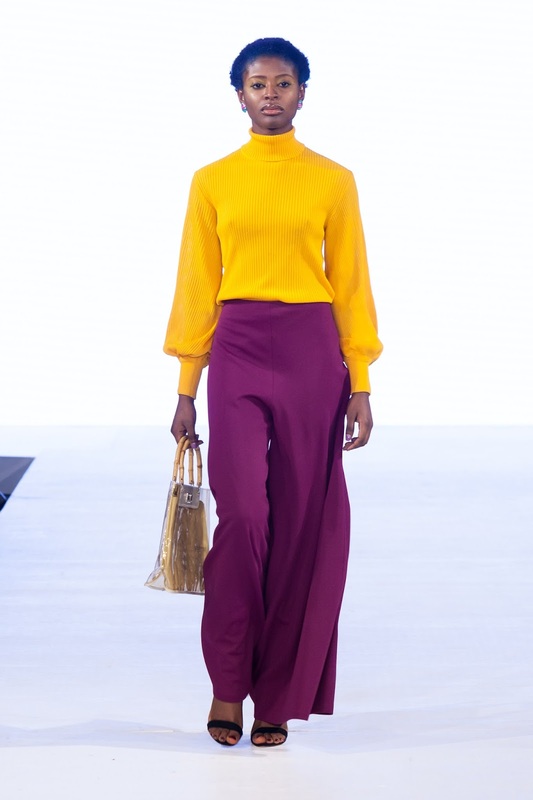 Jason even managed to incorporate some very on-trend pieces, like the wide-leg pants. Now of course, because this is Eco Fashion Week we're talking about, an eco-friendly outfit is a must! Wonderful local designer Theresa Chen offered to outfit Vicki of Style By Fire and I for the evening, and I couldn't have been more thrilled. I have been a huge fan of Theresa's designs, ever since I covered her collection at Vancouver Fashion Week about 12 seasons ago! I chose a piece that is on the more avant-garde side, and I must say, I was a little sheepish about the -ahem- hemline at first, but Theresa and Vicki gave me the courage to rock the hell out of it. I ended up absolutely loving it! And doesn't Vicki's red dress look amazing too? She looks fantastic in the colour and the cut, and would you believe it - it's all one piece with no zipper! Comfy. Well that's it for the Thrift Style Challenge! Next, I'll show you my favourites from the awe-inspiring 81 Pound Challenge, presented by Value Village. And let me tell you, much like the Thrift Style Challenge, it did not disappoint!